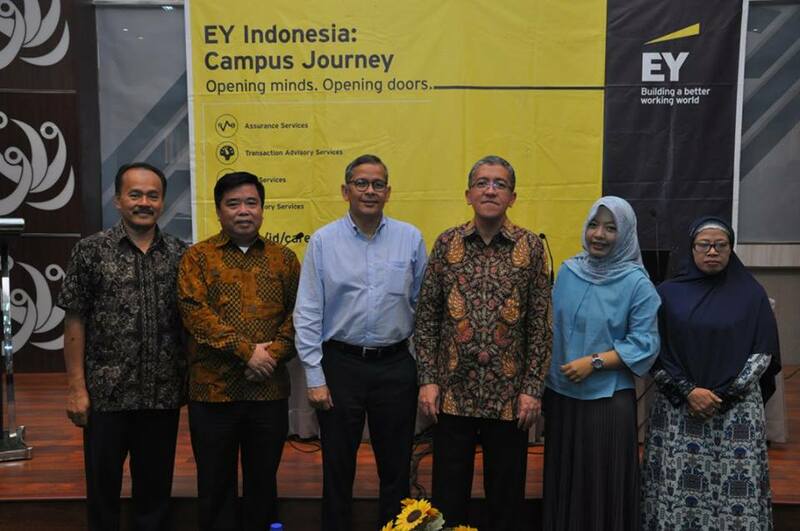 On Thursday, March 5 2018 in the hall building of Economic and Business Faculty, Brawijaya University at 7th floor a Campus Journey has been held by one of Big Four Accounting Firms, Ernst & Young (EY). This event has been attended by all of the students that majoring Accounting FEB UB, the Chairman of the Department of Accounting, Head of Department Accounting, and the lecturers of Accounting FEB UB. And there are another six persons from EY Indonesia who also attended the event; Koentjoro Nurwibowo (Director of Talent), Yasir (Partner of Assurance), Dudi M. Kurniawan (Partner of Assurance), Devan (Talent Team), Amelia (Brand Communication and Marketing), and Joshua (Talent Team), “We hope the students can take advantage of this opportunity to acquire additional knowledge, so when they will have to graduate, the would have known a little bit about the EY” said the Chairman of the Department of Accounting FEB UB, Dr. Drs. Roekhudin, M.Sc., Ak on his opening speech. This company which has the fifth position of “The Best Place to Work Now” conveyed the materials attractively and interactively. Not only delivering verbally, but EY also put it into some games by using Kahoot!, that what makes all the attendence curiously and eagerly to get along. This Campus Journey consists of four sessions; 1) Opening speech 2) EY overview and video screening,3) Career drives discussion 4) Campus hiring. In the small surveys by using Kahoot!, apparently the seeking out of jobs are found mostly in the multinational companies, which one of the is EY. EY has spread over in 150+ countries with 250,000+ employees, and $ 31.4b for the income. The services that EY offered not only Audit, but also Assurance, Tax, Transaction Advisory Services, and Advisory. “From all of the companies that have been audited by Big Four Accounting Firm, 54% had done by EY” said Devan through his speech. This proves that the existence and reputation of EY in Indonesia will not be doubted. 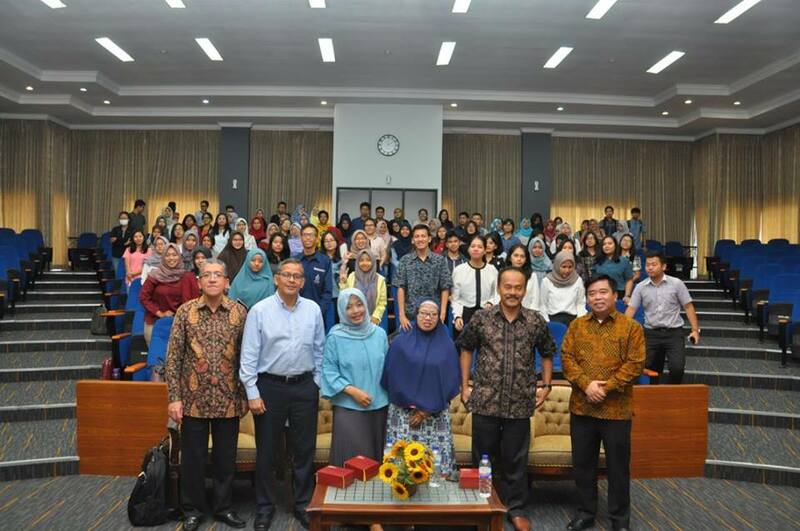 This event received a high enthusiasm from the participants, as evidenced by the many participants who asked during Yasir and Dudi M. Kurniawan sessions. The questions also vary, ranging from the possibility of EY Indonesia employees being transferred to overseas EY, things that distinguish EY with other Big 4 Accounting Firm, different advisory services with transaction advisory services, tips for staying in EY, qualifications required to enter EY, things that students need to prepare from now on, up tricks and tips on selection of EY interviews. “Find a job that you love, which can make you feel enjoying it, looking for a company that has a good reputation and clear career advancement” said Yasir when answering one of the questions from the participants. On the sidelines of this question and answer session, Dr. Drs. Roekhudin, M.Si., Ak. also had time to tell the students, that to work in EY students must have a spirit and love challenges. Next the event ends with a photo session together. “After attending this journey campus, I am very eager for a career in EY in the field of Assurance services” said Ayu Dwi, one of the participants in a brief interview.